Bowie State will hit the road early in 2018, face an FCS school and host key CIAA rivals in the DMV. Topping the 2017 football season will be a tough task for Bowie State, but BSU will try to do that in 2018. The team released its upcoming football schedule earlier this month. “I’m excited about our team that we have returning along with the incoming student-athletes. We have put together a very challenging non-conference schedule which will prepare us for CIAA play”, said Coach Wilson. Wilson went on to say, “In order to accomplish our goals we must defend home field and win on the road and that process starts now during winter conditioning and spring practices. The Bulldogs will open the season with a road contest at Division I (FCS) opponent Wagner University on Thursday, August 30th at 6 p.m., which marks the first time both teams will meet on the gridiron. Bowie State will then travel to Alderson Broaddus University for the first time in school history on Saturday, September 8th in week two of the 2018 season with game time set for 12 p.m. The Bulldogs make its longest trip of the regular season on Saturday, September 15th, traveling to Lebanon, Illinois to face McKendree University at 1 p.m. The Bulldogs begin conference play on Saturday, September 22nd, making a trip to Raleigh (N.C.) to face the Falcons of Saint Augustine’s University at 1 p.m. and will have their home debut on Saturday, September 29th versus Winston-Salem State University. 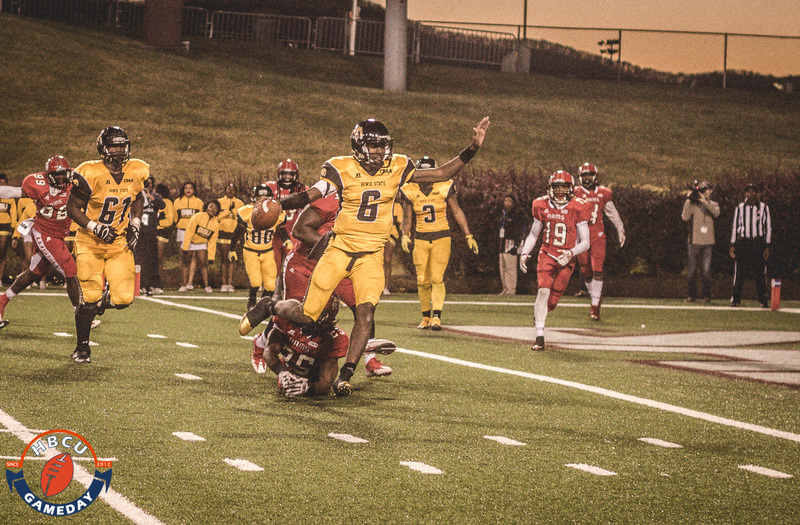 Game time for WSSU at BSU is 4 p.m.
Bowie State will hit the road for week seven (Saturday, October 6th) to face Chowan University in Murfreesboro, N.C. at a time to be determined. The Bulldogs will host Virginia State University on Saturday, October 13th at 2 p.m. for Homecoming 2018 followed by road games at Virginia Union University (Saturday, October 20th at 1 p.m. and Lincoln (Pa.) University (Saturday, October 27th) also at 1 p.m..
Bowie State will close out the 2018 regular season on Saturday, November 3rd, hosting Elizabeth City State University for Senior Day in Bulldogs Stadium at 1 p.m.
Bowie State compiled an impressive 9-2 overall record, 6-1 mark in the CIAA and hosted their first-ever NCAA Super Region 2 playoff game under Coach Wilson. The Bulldogs had 18 players named to the All-CIAA Team and three named to the All-CIAA Rookie Team.